I hope you will understand the gravity of the latest findings related to galaxies, black holes, charged particles, funneled jets and their interplay with solar systems, namely ‘ours’. This latest research study follows my published theory, which I have labeled “Equation”, with very few deviations. In my last article titled: Physicists Find Clue To Formation Of Magnetic Fields Around Sun And Galaxies, which also strongly reinforces my theory, I wrote the following: “I am hopeful the picture is becoming more clear as I pass on to you, the most recent advanced findings which appear to be pointing directly at my 2012 ‘Equation’ identifying a Galactic – Sun connection in much the same way as the Sun-Earth connection.” What does this mean? The above report was first disclosed on Nov. 8th, hence, not having an awareness of this new study first released on Nov. 14th, I am more than captivated and a bit euphoric in the accuracy of my research. Ego involved here…maybe, but bewildered might be more accurate. As I so often say, my little mind does not measure to the brilliant thinkers I have interviewed over the years. I ask myself; how could they not see what I see? I believe the only answer is that our gifted ingenious researchers have become too compartmentalized. As simple as the left hand not knowing of the right hands insights. Now to answer the above question: What Does This Mean? Answer: Earth’s magnetic reversal may be coming sooner than most scientists had hypothesized. Now I will list the latest released studies beginning with the most recent first. Astronomers using data from NASA’s Fermi Gamma-ray Space Telescope have detected hints of periodic changes in the brightness of an “active” galaxy, whose emissions are powered by a supersized black hole. If confirmed, the discovery would mark the first years-long cyclic gamma-ray emission ever detected from any galaxy, which could provide new insights into physical processes near the black hole. Supermassive black holes weighing millions of times the Sun’s mass lie at the hearts of most large galaxies, including our own Milky Way. In about 1 percent of these galaxies, the monster black hole radiates billions of times as much energy as the Sun, emission that can vary unpredictably on timescales ranging from minutes to years. Astronomers refer to these as active galaxies. A team of astronomers while mapping a class of stars called ‘Cepheids’, they discovered an entirely new feature in the Milky Way – a thin disc of young stars across the galactic bulge. This new component to our home galaxy had remained unknown and invisible to previous surveys as it was buried behind thick clouds of dust. Its discovery demonstrates the unique power of the VISTA telescope, which was designed to study the Milky Way’s deep structures by wide-field, high-resolution imaging at infrared wavelengths. Further investigations are now needed to assess whether these Cepheids were born close to where they are now, or whether they originate from further out. Understanding their fundamental properties, interactions, and evolution is key in the quest to understand the evolution of the Milky Way, and the process of galaxy evolution as a whole. The Ulysses spacecraft was launched 25 years ago into space. Now, for the first time its complete set of measurements of interstellar dust has been analyzed. When launched in 1990, the main focus of the mission was to study the Sun’s solar influence – and charged particles advancing from the depth of space into our solar system. The conclusion from this vast number and scope of researchers: “Within the solar system velocity and flight direction of the dust particles, change can occur more strongly than previously thought.” The timing and substance of this intense 25-year study could not be less rewarding. 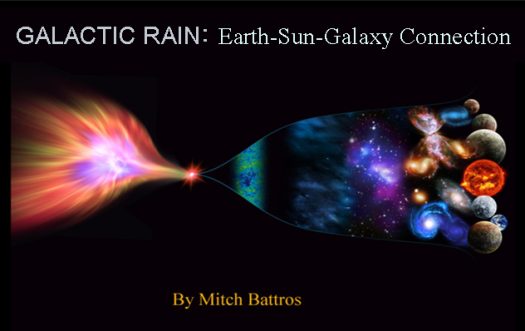 It supports most everything I have researched and have documented in my new book Galactic Rain. It is common knowledge that the Earth’s rigid upper layer called lithosphere is composed of moving plates. 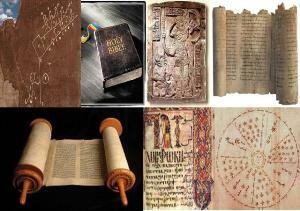 But just what mechanism first set plate tectonics into motion still remains a mystery. A team of researchers led by ETH professor Taras Gerya has now come up with one possible answer by using simulations. When tears begin to spread throughout the lower crust, large slabs of the heavier rigid lithosphere plunge into the soft mantle, and the first plate margins emerge. The tension created by the plunging slabs ultimately sets the plates in motion. Subduction has begun – and with it, plate tectonics. Water acts as a lubricant and is an absolute necessity in the initiation of a self-sustaining subduction. The Earth’s lithosphere is divided into several plates that are in constant motion, and today’s geologists have a good understanding of what drives these plate movements – heavier ocean plates are submerged beneath lighter continental plates along what are known as subduction zones. Once the movement has begun, it is perpetuated due to the weight of the dense subducting plate. My 3rd book on the Sun-Earth connection and Beyond is now accepting orders for this first run ‘special addition’ that will include my personal signature made out to you. It is listed for $24.95, however, I am discounting this run at $19.95 plus $5 shipping & handling – this offer is limited to the first 100 Only. If you are one who always thought there was a connection between here on Earth and our galaxy, you won’t be disappointed. This book begins with a comprehensive summary of the Sun-Earth connection, then proceeds to provide cutting-edge discoveries mostly unknown to the public, showing a distinct connection beyond our solar system and directly to our galaxy ‘Milky Way’ – including its galactic center black hole. Although it was important for me to be accepted within the science community – I can tell you that I did not shy away from ancient text describing what our ancient ancestors passed down over centuries (100 years), millennia (1000 years) – and with new anthropological discoveries – now up to 100 millennia (100,000 years). Their collective description identifying millennial and multi-millennial cycles involving maximum and minimum disbursement of charged particles is disturbingly accurate. It was not until our recent advancement of scientific technology along with instruments and spacecraft – could we have gained knowledge telling us just how connected we are to the galaxy. As I continue my research, it is now taking me beyond the galaxy and into the Milky Way’s neighborhood of what we currently describe as the “Universe.” My initial guess would be we are likely to witness yet another closely-knit symbiotic connection, which is unimaginable given our current limited understanding of whom we are and where we come from. 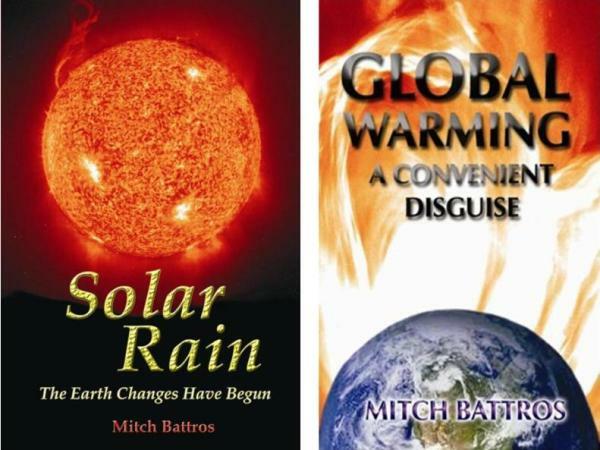 Aside | This entry was posted in Breaking News, Space Weather and tagged BREAKING NEWS: New Study's Recognize Battros 2012 Equation. Bookmark the permalink.